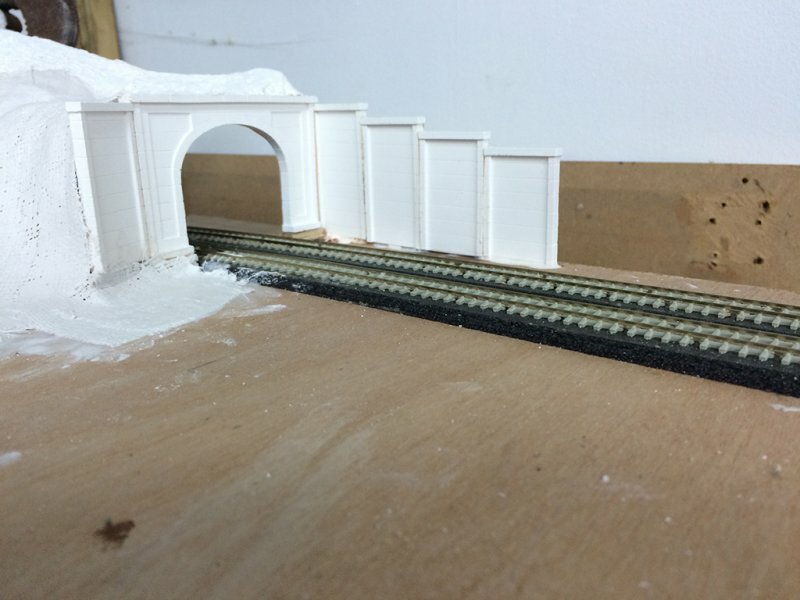 I’ve been doing some work on the tunnel. 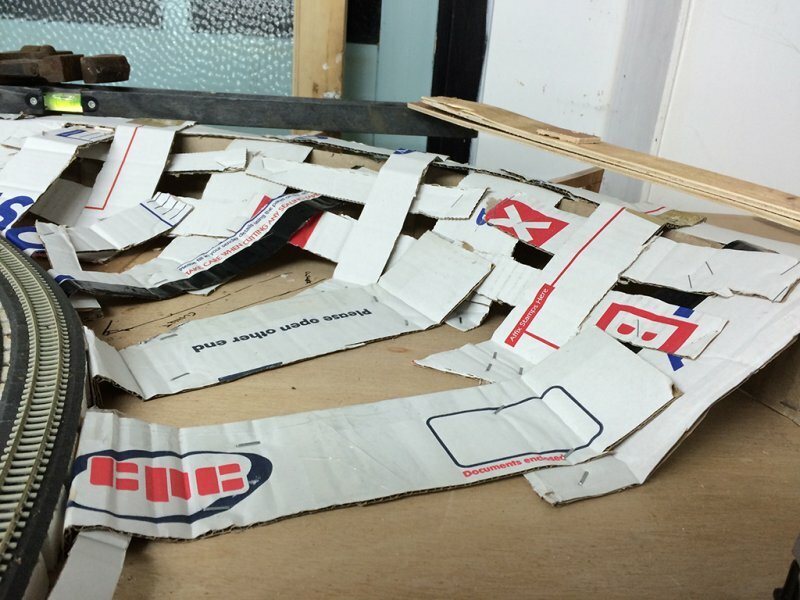 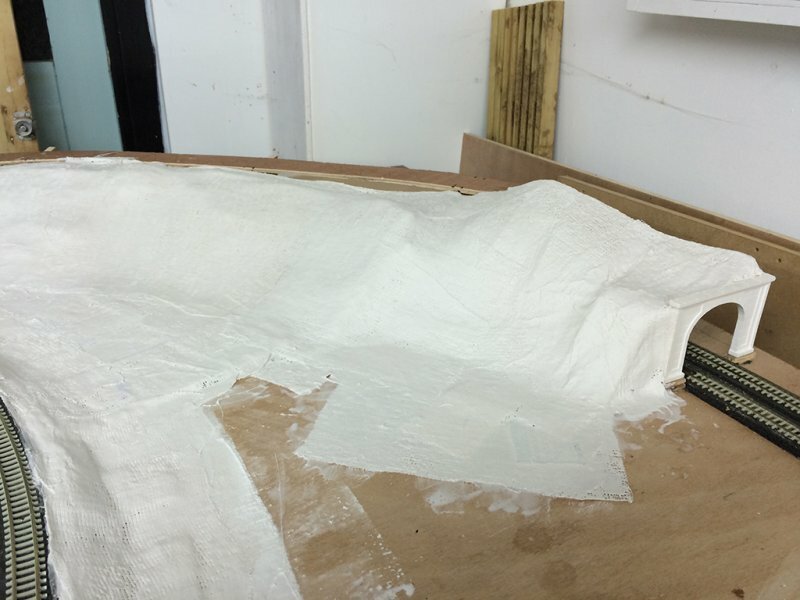 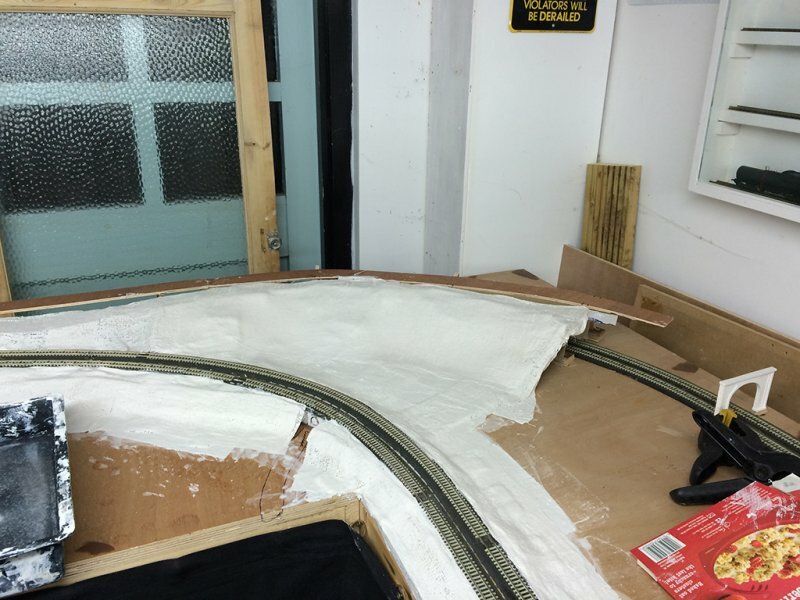 Started off with a wooden framework, then covered that with cardboard webbing and finally Woodland Scenics plaster cloth. 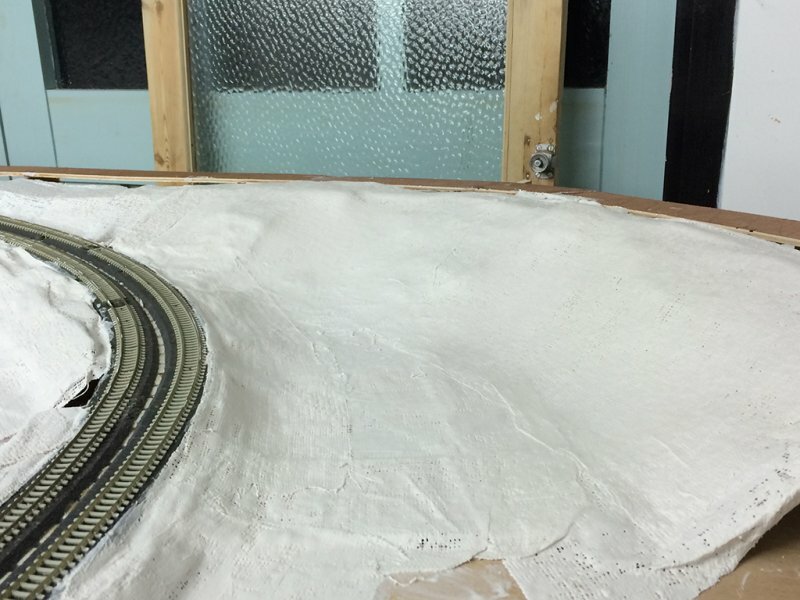 I’ve added retaining walls to the tunnel mouth near the rear of the intermodal yard and a culvert under the track at the front of the yard. 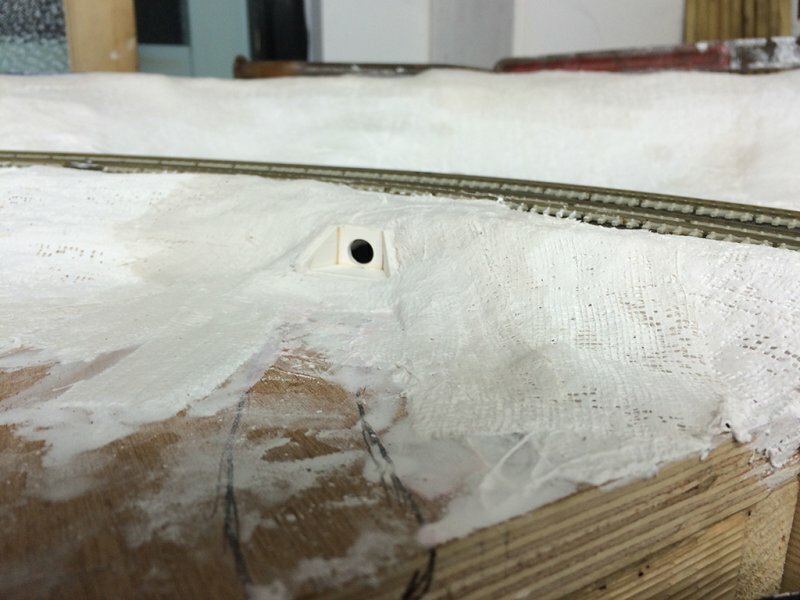 This week I will add some rock faces for interest and the tunnel interior where it can be seen through the tunnel mouths. 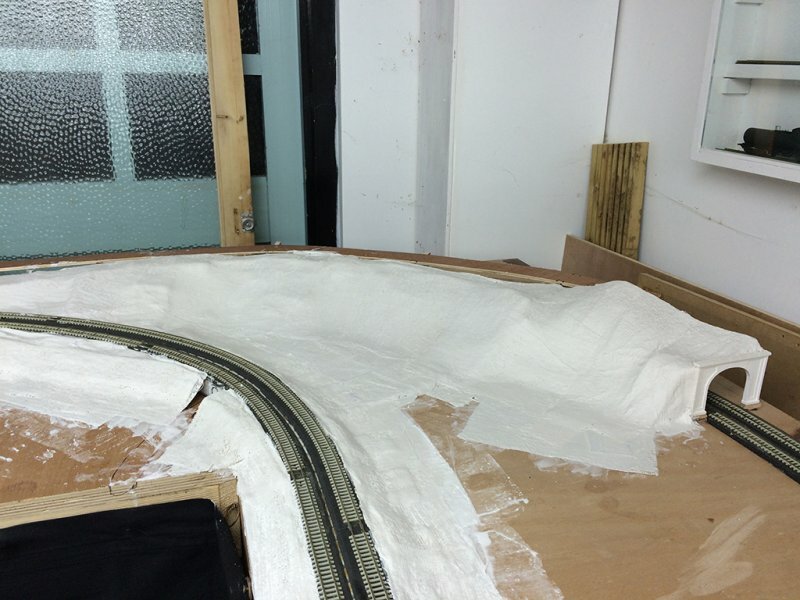 I have added the trackbed above the tunnel for the track that leads to the new staging yard behind & above the intermodal yard and will be adding that track once I have coloured the plaster & rock faces with Woodland Scenics colour pigments. 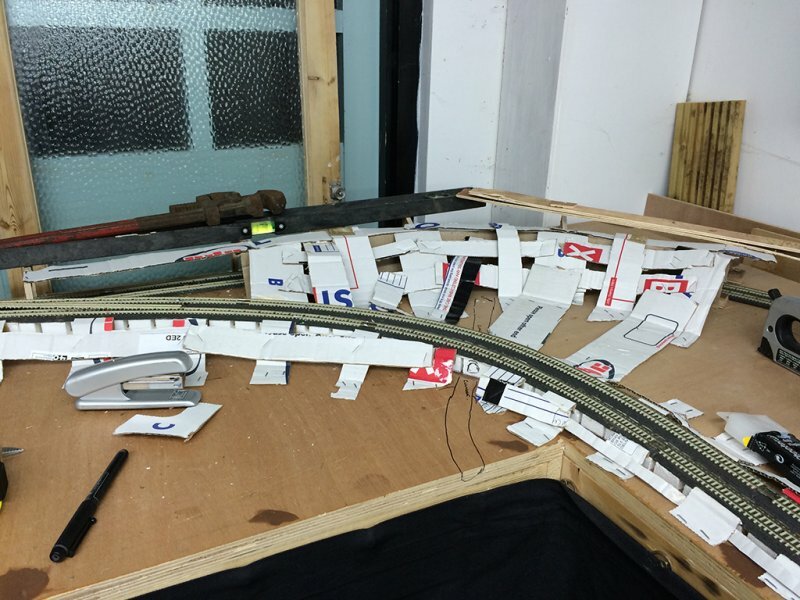 I have also purchased a new toy for the layout…a CMX Track Cleaner! 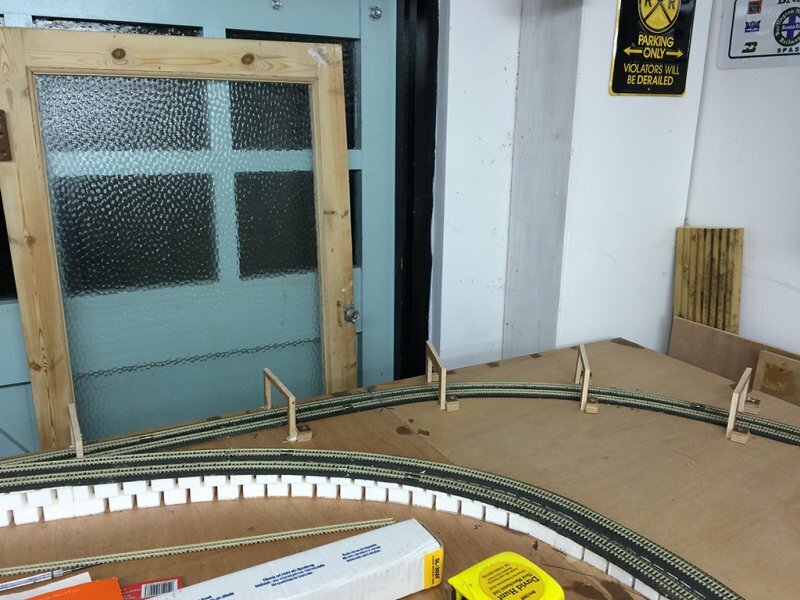 I’ve given it a few runs around the layout on both main tracks and I am very impressed so far. 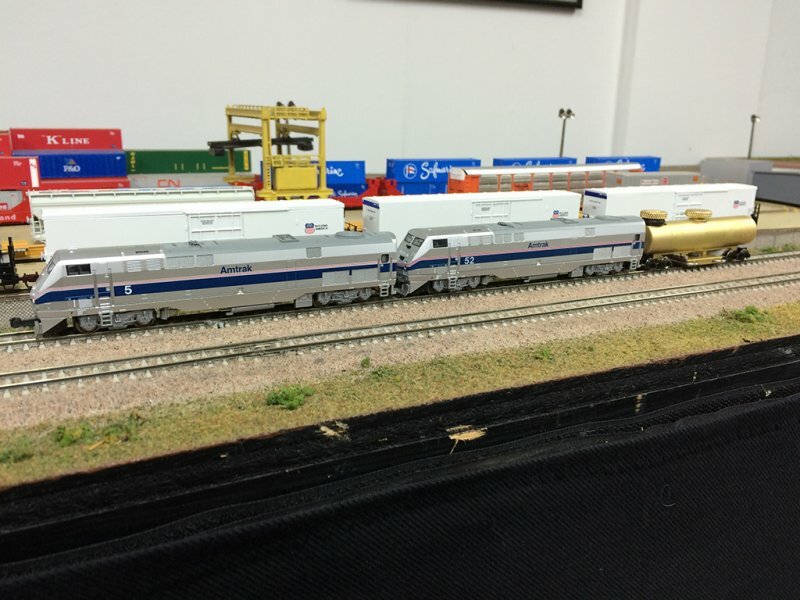 It does need two locos to pull it though…pretty hefty piece of equipment!